← How to hide or delete print and download options from Online Document Reader (Online PDF Viewer)? What VeryPDF PDF for Mobile SDK is? The best, all-inclusive PDF rendering engine with manipulation features. Do you need to include PDF rendering faculties in your own applications? Do you develop Apps on Android, iOS and Windows and Windows Phone? 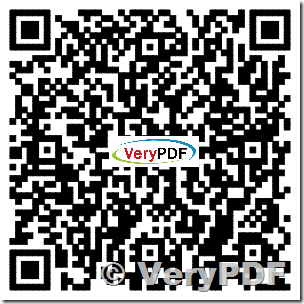 VeryPDF PDF SDK for Mobiles (formerly PDFViewer SDK) shall help you building better mobile applications. Using our featured PDF reader engine and its set of professional features will now be a quick and simple procedure. VeryPDF PDF SDK for Mobiles shall extend your App's features with stunning PDF capabilities on Android, iOS and Windows platforms. Native: C++ code optimized for mobiles CPU (ARM, x86, MIPS) and with small memory footprint. FAST: Outstanding performances due to advanced decoding and caching algorithm. MULTIPLATFORM: PDFViewer SDK was developed for Android, then has been ported to iOS and Windows 8/RT. Support all PDF formats: Read, view and modify the most widespread version PDF format. Great performances: C++ code with assembly optimization. True native code compiled from C++ sources. Annotations: Text, hyperlink, geometric primitives and free hand annotations. Annotate pdf with hyperlinks, text, sketches or complex binary objects into your PDFs. Protection and encryption: AES and RC4 encryption / decryption. Full AES256 cryptography ensure high level protection to your documents. Text handling: Text search and extraction. Search, extraction, highlight, some of most required features. Form editing: PDF form editing and writing. Create, write, read acrofields (form fields). VeryPDF PDF for Mobile SDK for Mobiles (formerly PDFViewer SDK) shall help you building better mobile applications. It's a full featured API that renders and manipulates PDF files on mobile operating system (Android, iOS, Windows/Windows Phone). Unlimited licenses/OEM licensing: Please contact us! Shall your applications be distributed as built-in on devices? Do you need a large quantity of licenses? Please feel free to contact us at http://support.verypdf.com ticket system. If you wish to purchase VeryPDF PDF SDK for Mobiles product, please feel free contact to us at http://support.verypdf.com ticket system. This entry was posted in VeryPDF SDK & COM and tagged pdf ios, pdf mobile, pdf render. Bookmark the permalink.